CTMH Cyber Monday Cricut Sale! Close To My Heart has an awesome Cyber Monday Deal on Cricut cartridges and digital sets! If you love our innovative Cricut® Collections, then we’ve got a special deal for you today! When you spend $30 on retail-priced product (excluding discounted or clearance products), you can buy one of our Cricut® collections at 30%-off—that’s a savings of up to $29.70 per Cricut® collection! There’s no limit to the number of collections you can get at a discount—you can get one for every $30 you spend! But this offer is only valid today! View all of the Cricut Collections HERE (offer valid on all full sets; City Sidewalks mini collection is excluded). Close To My Heart is having a Cyber Week Sale!!! From Monday, November 30 – Friday December 4, 2015, you can shop a variety of CTMH products for 25% off retail prices! 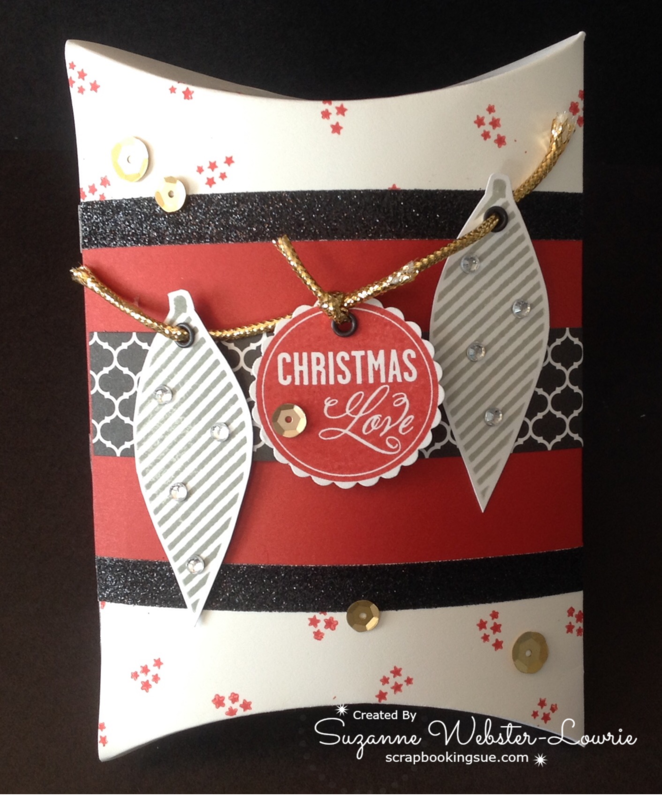 Included in the sale is the Cricut Artfully Sent Collection. 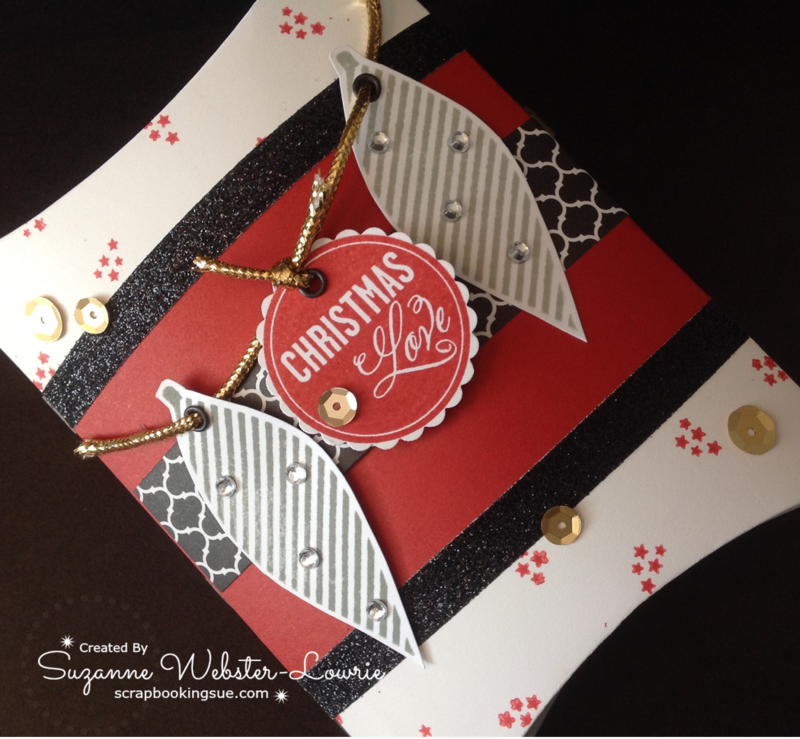 Artfully Sent is focused on cards, so if you haven’t started making your cards this year, you’ll find many Holiday-themed cards on this cartridge to make in a breeze. Be ready to start shopping at 9:00 am (MST) on Monday. For all of these great specials and more, click here to shop! 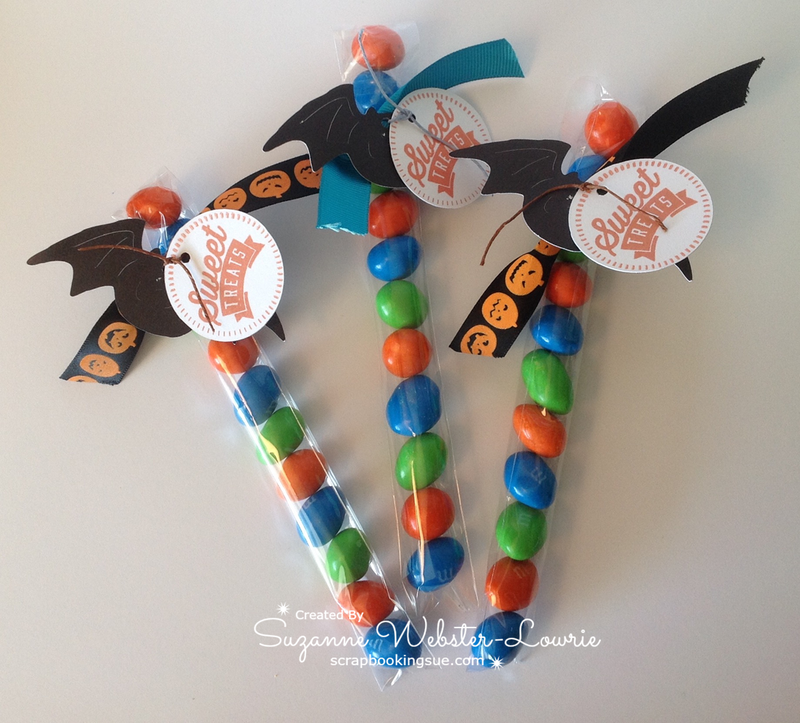 Here are some simple Halloween gifts that I created for my upcoming craft fair. Each bag is filled with 11 peanut M&M’s, since that is the exact amount that fit in these 1″ x 7″ cello bags, with a little room left to fold over the self-stick adhesive closure. 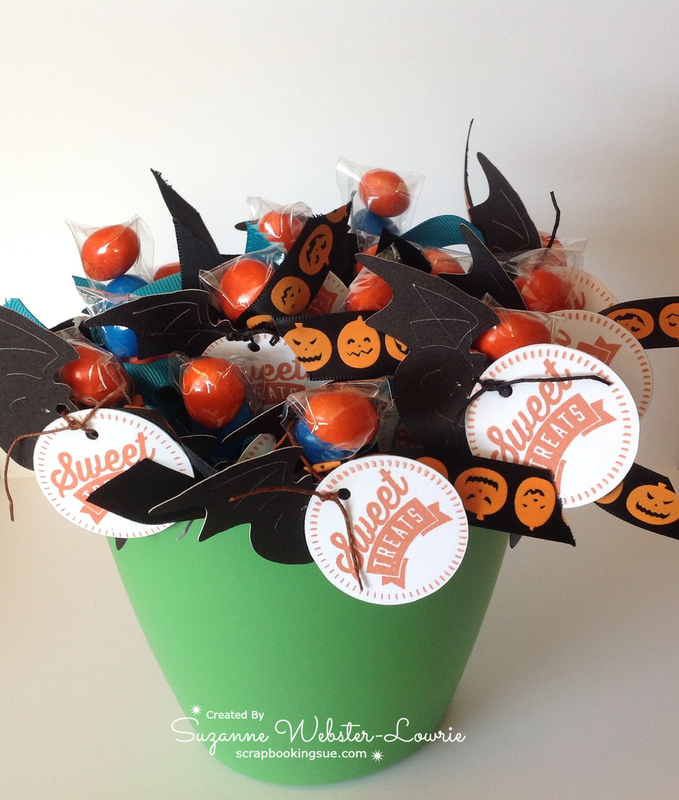 Each bag was tied with either a Halloween-themed pumpkin ribbon, or pretty blue ribbon to match the M&M’s. Both ribbons were from the Dollar Store. 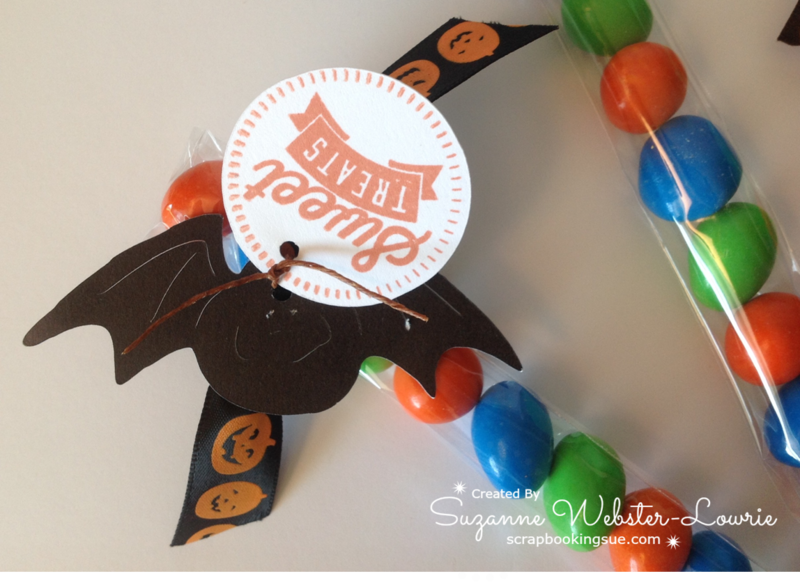 You might remember the bat and “Sweet Treats” sentiment from this project here. The only difference is that I cut these bats out at a much smaller ratio to fit with this project. The bat is from the Cricut Paper Doll Dress Up cartridge, and the sentiment is from the CTMH Sweet Salutations stamp set, and stamped with Sunset ink. I used retired waxy flax to thread through the loose pieces and tie them to the bags. 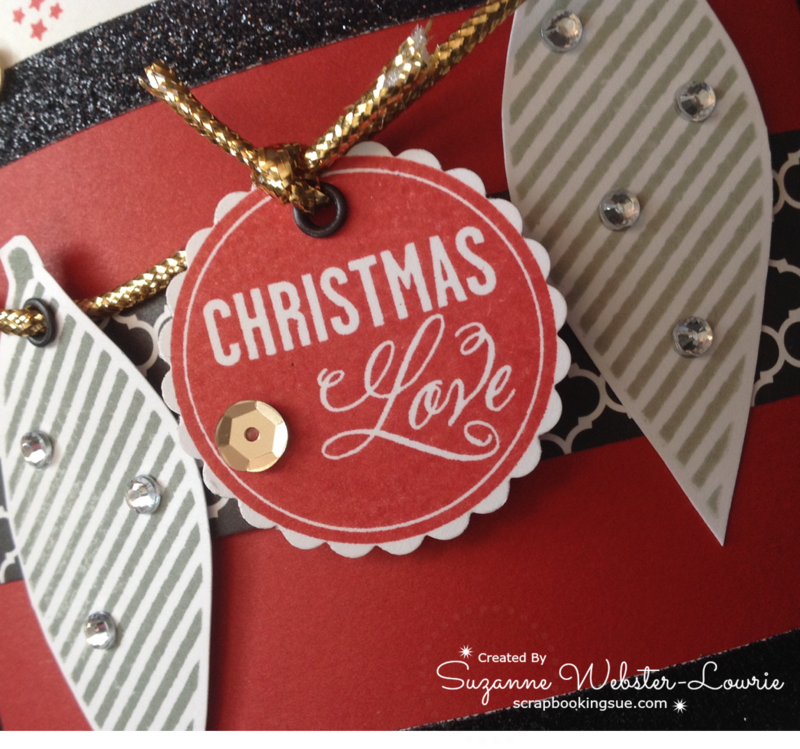 I will be linking this project to Heart 2 Heart Challenges: Cricut Capers. Feel free to enter your project and join in the fun!